Our story begins in the mid-20s when in the heart of Naples, Don Vincenzo Vivese starts in his inn of the historic center the first productions of liqueurs and distillates. His guests, many tourists of the beautiful Naples, after enjoying the excellent dishes of the Neapolitan cuisine, continue to ask Don Vincenzo for a good digestive. And so, after different experiments, he creates a natural liqueur obtained from the infusion in alcohol of herbs and typical flavourings: that’s how L’ Amaro della Casa was born. After the great appreciation received for his Amaro, Don Vincenzo, using the excellent and renowned lemons of the nearby island of Procida, begins to produce his typical and natural Limoncello. Later, he spends more than a year between Padua and Vicenza, where he learns the techniques of distillation of the grape marcs, devoting himself also to the production of Grappa. Over the years, Don Vincenzo shares his passion and devotion for liquors with his daughter Nunù, who begins to write a diary where he notes all the secrets and recipes inherited from his father. From one generation to another, as his father had done with her, Nunù decides to deliver to his son Alberto the diary that jealously guards. Together they carry out the productions until the early 1980s. In 1987 Alessandro was born, Alberto’s son and Nunù’s nephew. After completing his university studies abroad, Alessandro, strongly linked to his roots and his family tradition, decides to start again the production of liqueurs and distillates which marked the history of his family. A company and a young project, but with strong roots in the past. In full respect of our history and family tradition, we keep faith with the originality of our products, supporting the most innovative production techniques. Quality first of all. Our productions take place between Campania (Amaro and Limoncello) and Veneto (Grappe) and undergo continuous and accurate checks, guarantee of excellence for all our customers. The craftsmanship and careful attention to details are distinctive features of our products, from the choice of the finest materials to the realization and packaging that takes place strictly “handmade”. Finally, the concept of 100% Made in Italy, fundamental prerogative of our identity. 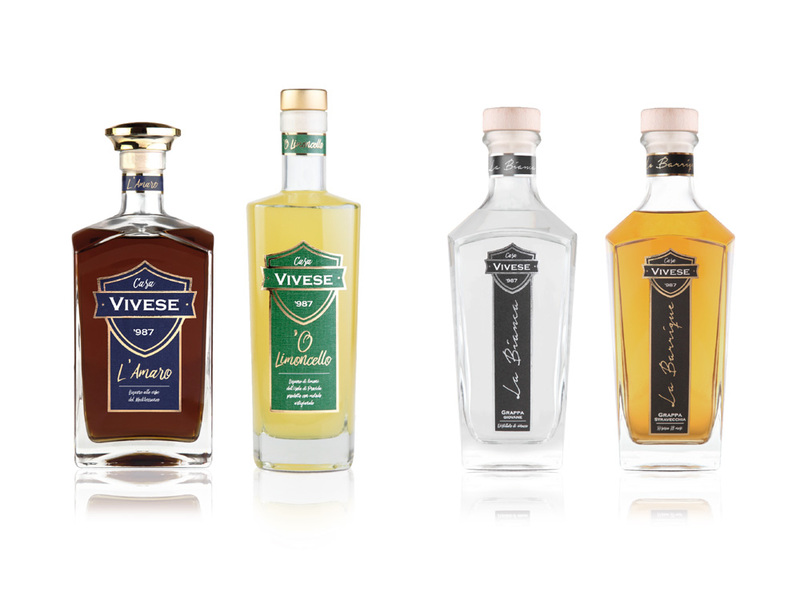 Every single element used in the production of our liqueurs and distillates comes from Italy, certainty of quality and absolute uniqueness. Even for their image, we use only Italian partners and suppliers, synonymous of the style, elegance and prestige that have always distinguished the Product of Italy.